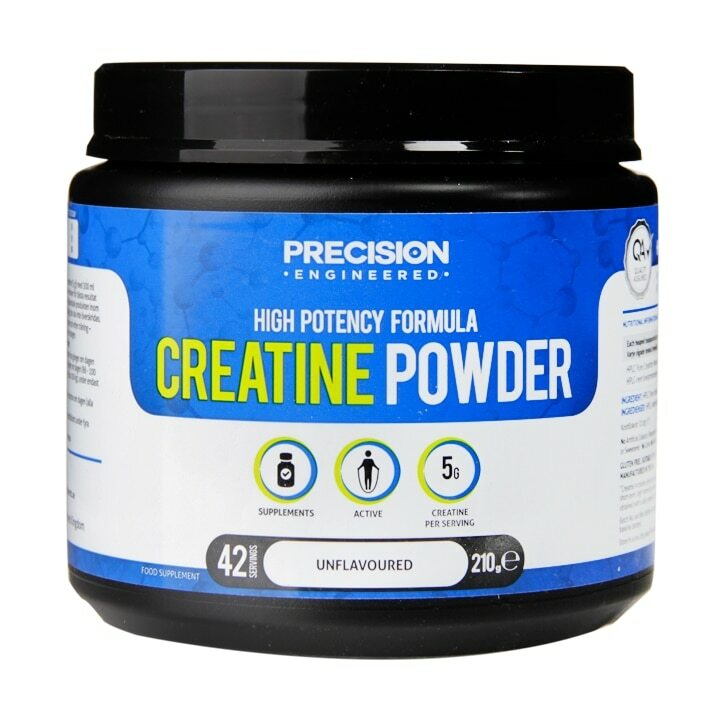 Precision Engineered Creatine Powder is rated 3.9 out of 5 by 16. Rated 1 out of 5 by Simple Man from May be a Pseudocertainty effect but nothing more.. After using 5 days as instructed here is an honest review. Day one face tingling... did not push more weight than normal. Day two felt dehydrated ... did not push any extra weight. Day three upset stomach ... did not push any extra weight. Day four upset stomach ... did not push any extra weight. Day five dry mouth ... did not push any extra weight. Rated 5 out of 5 by Escobar from Excellent Excellent product. Value for money, doubles my profits no problem. Tasteless and no scent makes it ideal.